It's been a bit quiet around these parts for the past few months as I've been busy off line with a variety of projects. I'm starting to catch up on blog related activity and wanted to start this off with some good news. Long term readers may remember previous mentions of my efforts to stay in Canada. Green of Eye is now a permanent resident. 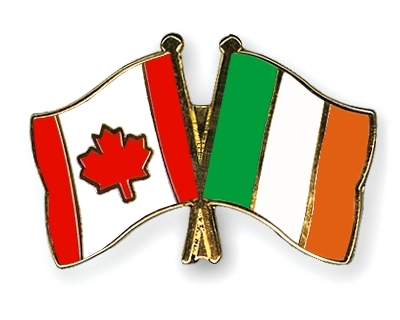 My heart will always be with my homeland Ireland but my home is now Canada. Great news, delighted for you!